Tendrá lugar el 30 de julio de 2017 en el local ITA Show sito en la Avenida Vinte e Dois de Maio, 2700 – Santo Expedito, Itaboraí, RJ, Brasil. 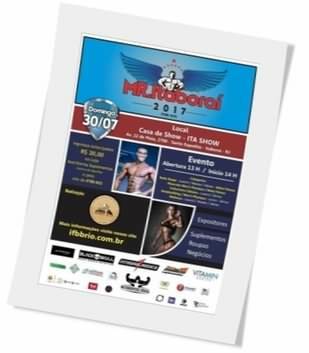 This entry was posted on miércoles, julio 26th, 2017 at 11:36 am	and is filed under Campeonatos. You can follow any responses to this entry through the RSS 2.0 feed.Both comments and pings are currently closed.